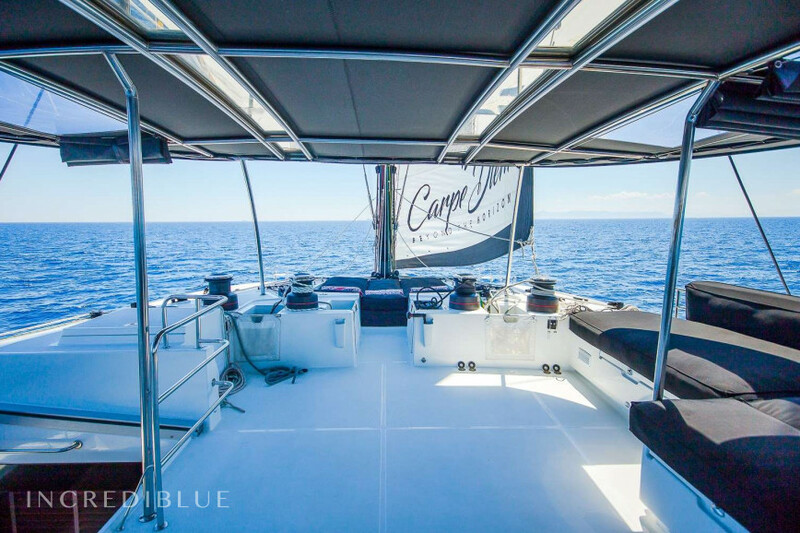 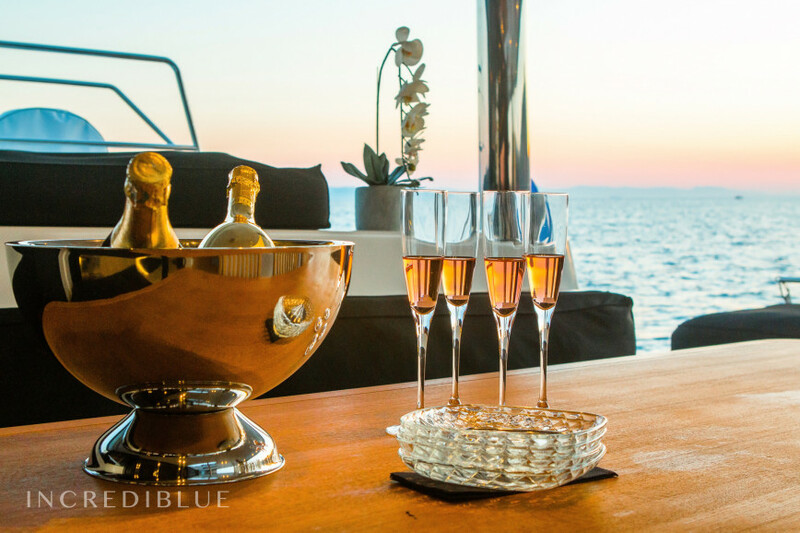 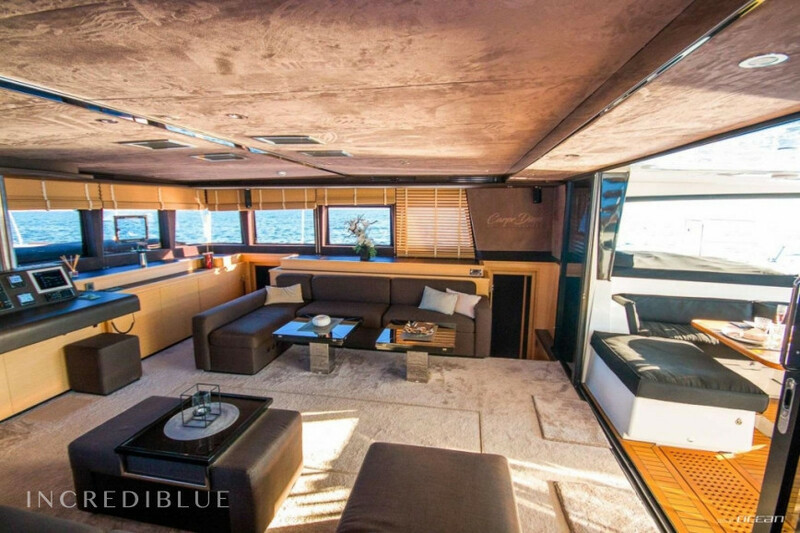 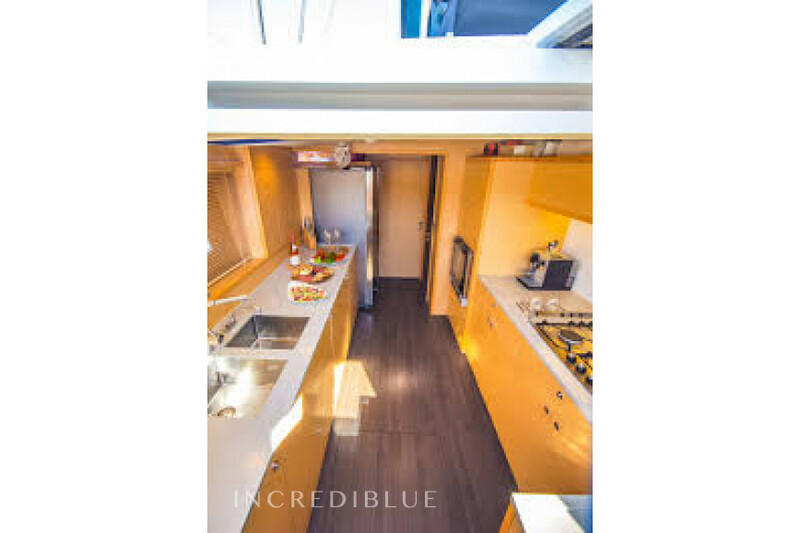 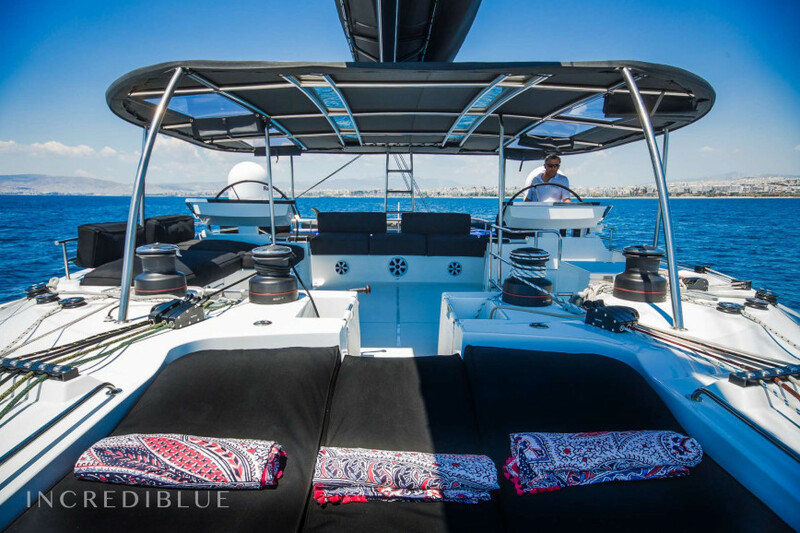 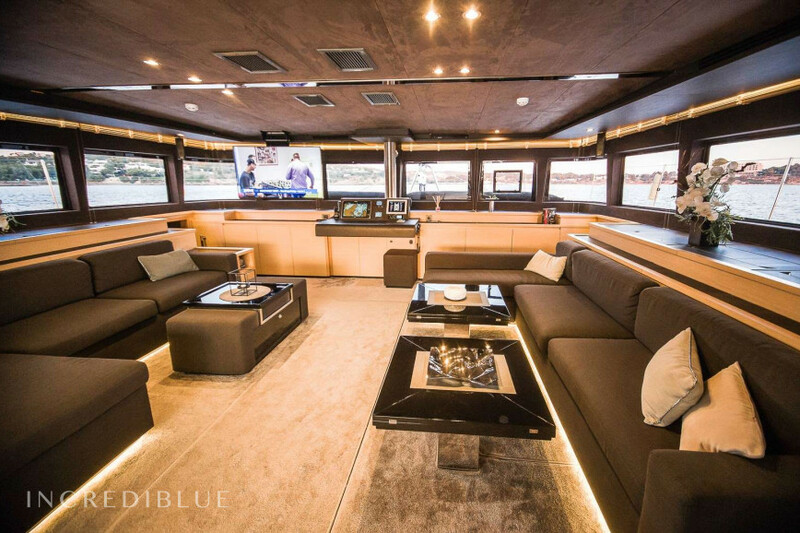 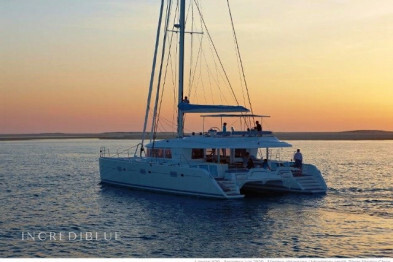 This is the most luxurious way to spend the holidays in a catamaran you will find. 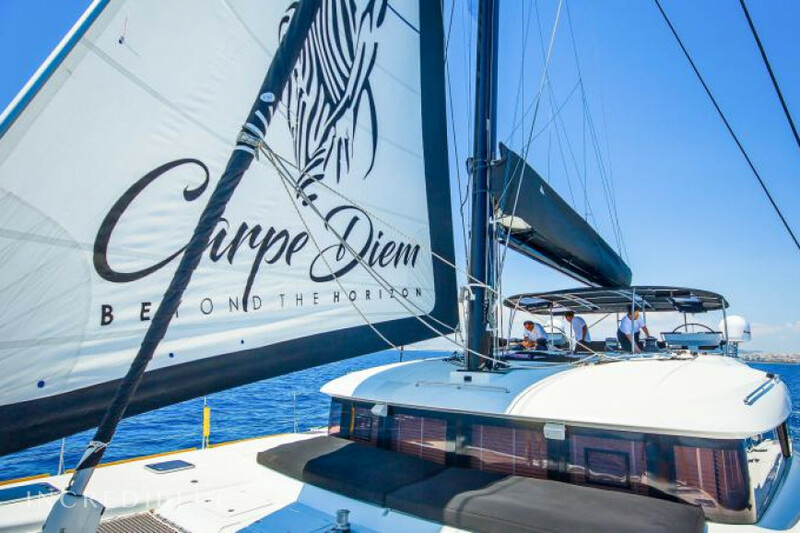 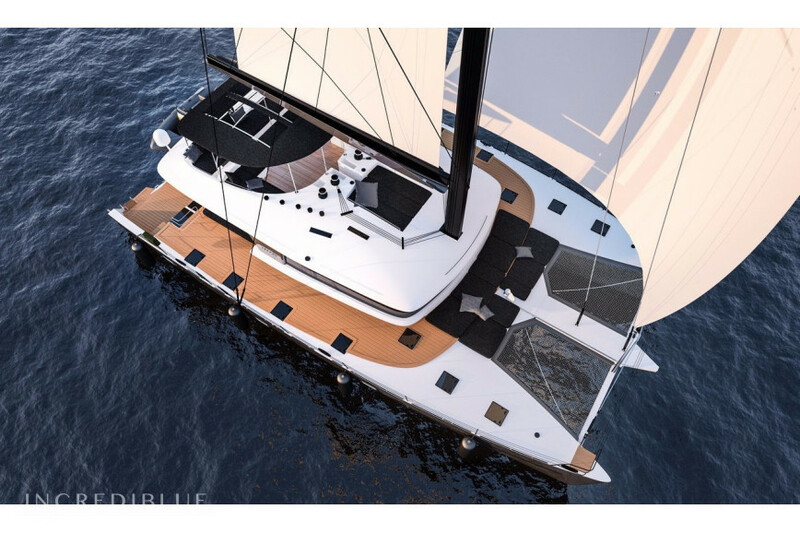 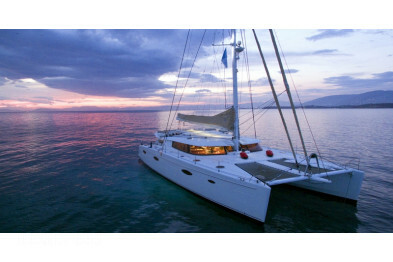 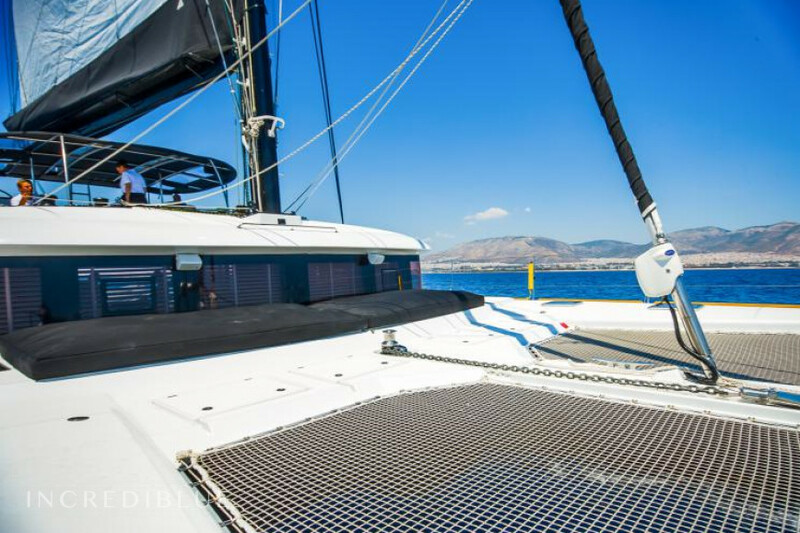 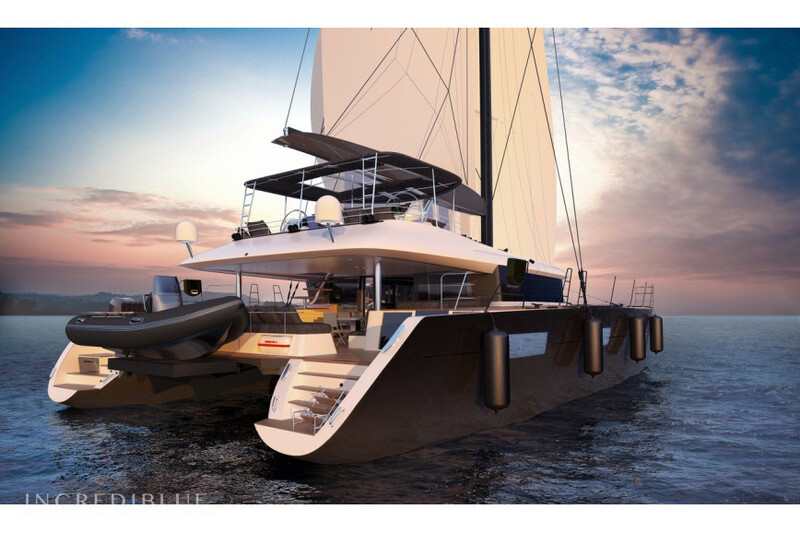 This catamaran is specificly designed for ocean cruising as well as for unforgettable family holidays. 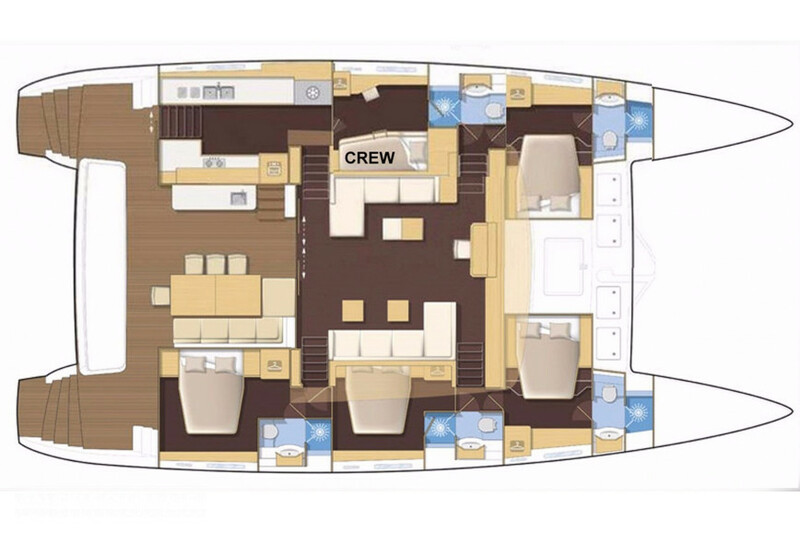 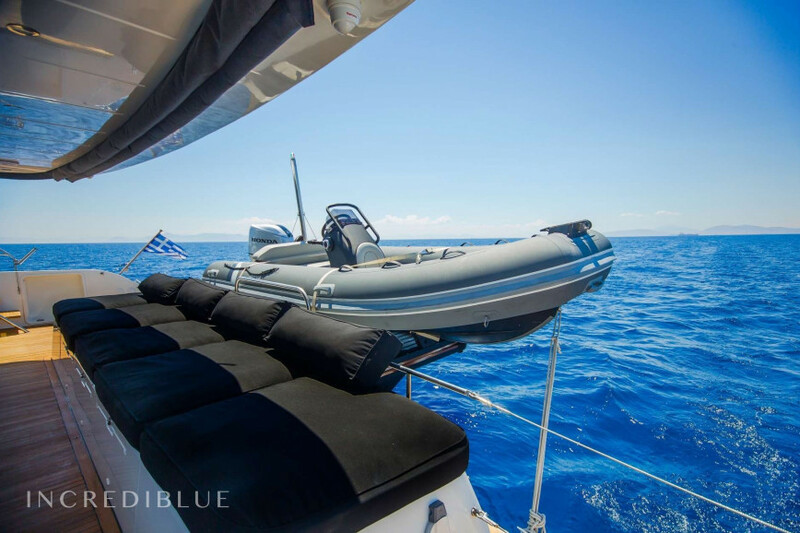 It offers all the comfort and equipment you can expect from our flaship class, like a very ample lounge both inside and outside on the deck or an amazing front area to relax and sunbathe. 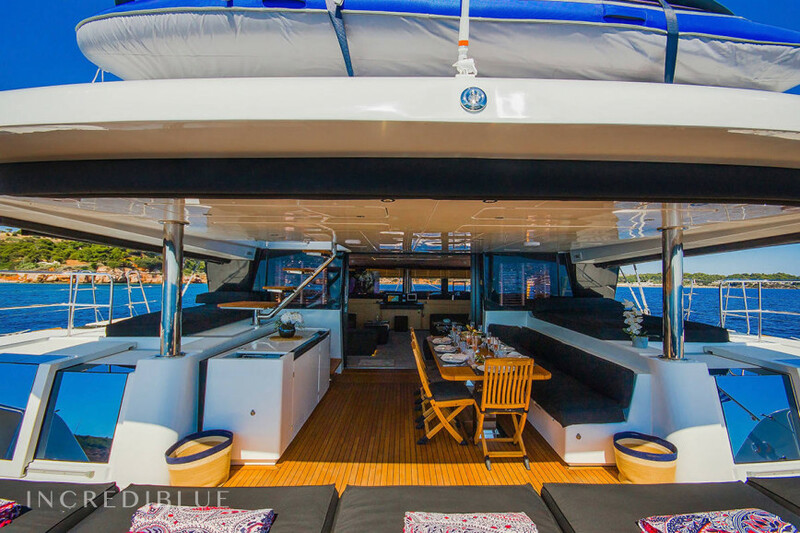 The outdoor dinning area is connected to the kitchen and inside dinning lounge for greater comfort and accesibleness. 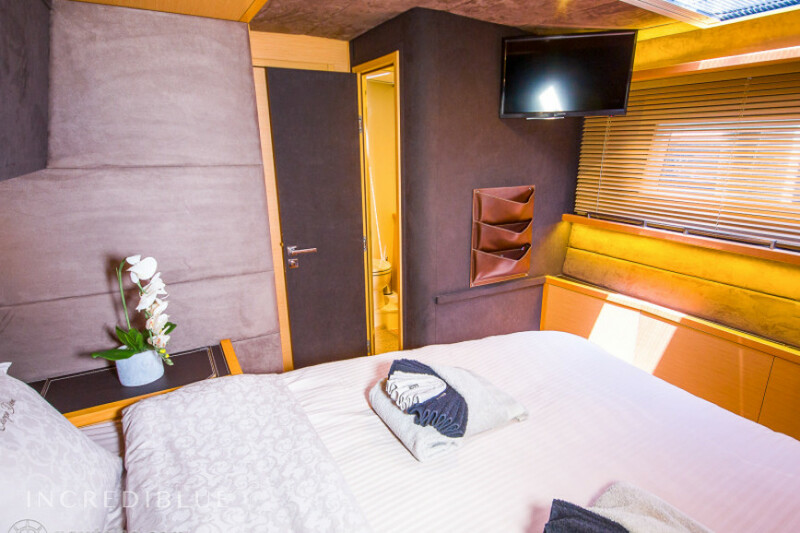 Fitting up to 8 guests in 4 Queen size cabins and ensuite facilities like fully equipped bathroom, WI-Fi connection and bluetooth speakers in each of the cabins. 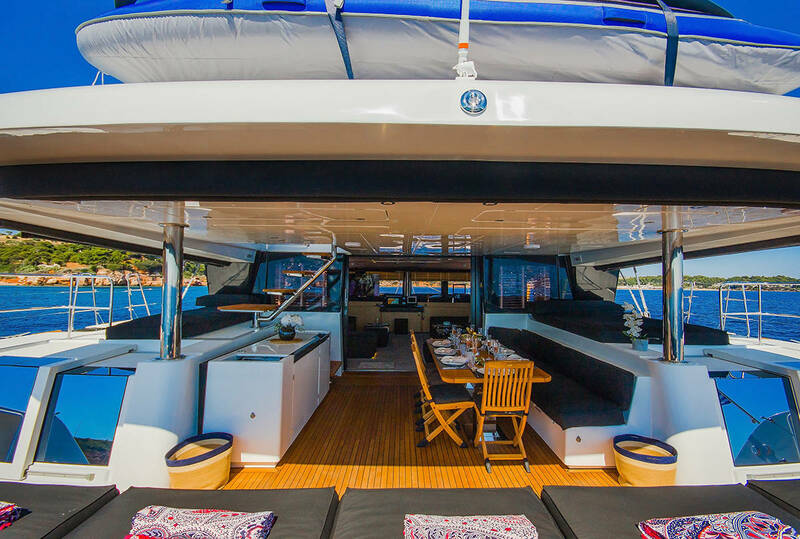 The yacht is hired with a crew of 3 but due to the fact that they sleep in separate cabins with separate facilities, a great amount of privacy is offered for maximum comfort.